The tablet has been tested and in working order. NOT INCLUDED pen, cable or other accessories. Hawaii, and. Condition is Used. Everything works, wasn't heavily used as I'm more into drawing in ipad pro, the tablet has been sitting on my table for too long, just slight use on the surface, even the stylus has all nibs still available. 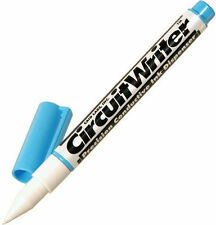 Caig Laboratories CW100P DeoxIT CircuitWrite silver based conductive pen.CW100P Features. Item is good working condition. Plug must be plugged into monitor at 90 degree angle (going down or left if horizontal) in order to work. Low friction tablet gloves. 3 x Tablet Drawing Gloves. Covers the side of your hand. Left or right-handed use. 20cm from wrist to tip. iPod Accessories. Office & Desktop. Health & Lifestyle. Boogie Board Blackboard Liquid Crystal paper 8.5" x 11". The downloadable blackboard app makes it easy to save, organize, search, and share your work, doodles, designs, lists, and more. An electronic writing tool to plan, sketch, and design featuring Liquid Crystal paper. 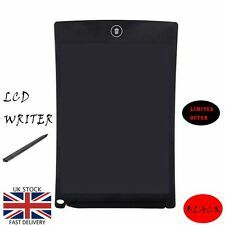 1 x 8.5" Black LCD Writing Tablet (Black ). 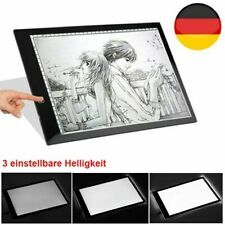 You can put it on table, desk and refrigerator surface. Sign language has not so been widely popularized and this make it inconvenient when those who have a poor hearing or cannot talk communicate with the the world. Livescribe 3 Smartpen Black Edition Smart Pen. Condition is Used. Shipped with USPS Priority Mail. Includes 4 unopened notebooks. The Moleskine Tablet and Pen is an ideal way to write, edit, organize, record, replay and share your ideas, notes and drawings! Free Moleskine Notes App available for iPhone users and Neo Notes App for Androide users. Share your work with friends and the rest of the world, or start a portfolio, Intuos has everything you need to live out your artistic aspirations. Stylus: Intuos Pen. Featuring the market-leading pen tablet technology by Wacom, online trainings and tutorials. TopazSigLite T-L460-HSB-R 1x5 LCD USB Signature Capture Reader Pad. Occasionally I do make mistakes and will do my best to help correct the situation. (#1) Includes a signature pad, pen, power cord. (#2) has just the display pad, no other accessories. You are purchasing a Moleskine M Smart Writing Set: Paper Tablet & Pen Model PTSETAF/851152. Free Moleskine Notes app. Easily create digital text and images and share them right away with your smartphone or tablet. NOTICE: This is for the Tablet ONLY - Does NOT provide the Stylus or USB cable. Each unit has been powered on, all buttons have been tested functioning, and doodles were sketched! 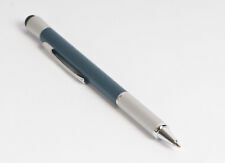 Stylus have a battery free pressure design where the harder / softer you press the thicker / thinner the lines! Expand your creativity and work naturally and intuitively. Artist22E Pro drawing display features 1080p resolution with 77%-82% Color Gamut and an extra-wide 178° viewing angle. Fit for both left and right handed users. Parblo A610 10" x 6" Graphic Drawing Tablet in unmarked, excellent condition - only used once. Drawing painting, sketching, handwriting, marking, signaturing. Pen holder. 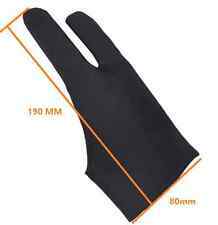 Two Fingers Anti-fouling Glove for Graphic Tablet. This is a practucally brand new drawing tablet. I only used it for a couple personal projects, then someone gifted me a surface pro 6, so I decided to par ways with this. I have everything included that I originally bought this with. All of the pen tips are still perfect. A great tablet for any artistic needs. 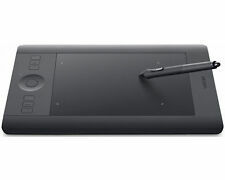 HUION New H610PRO V2 8192 Levels Pressure Sensitivity Graphics Tablet With Battery-Free Stylus And Pen Tilt Function. Tilt support: ±60 levels natural tilt recognition. If there's a problem, just let us know and we will fix it. Boogie Board Jot 8.5" eWriter 5 years & up. Re-define the way you write with the new Boogie Board Jot 8.5" eWriter. Write down quick ideas or to-do lists, all without using paper pads or sticky notes! 1 New Open Box Interlink ePad USB Electronic Signature Pad. Photos are of New Open Box Item, You will get a similar item, I have 6. Full details below. To make things a little easier, the Wacom Intuos has 4 customisable keys so you can access your most used functions to help you to get the job done quicker. With multiple software available via Wacom, you can begin editing and testing your skills before investing in expensive software. Alle Angaben nach bestem Wissen und Gewissen . Neu und einwandfrei in Funktion. Sie sind zur Rückgabe gebrauchter Batterien als Endnutzer gesetzlich verpflichtet. Die auf den Batterien abgebildeten Symbole haben folgende Bedeutung. Wacom INTUOS3 Wireless GRIP PEN ZP-501-E. a Stand. Boogie Board 8.5 Tablet. The Boogie Board Original 8.5 LCD eWriter is the model that started the paperless writing revolution. Ultra light (4 oz) and thin (1/8? )., one just isn?t enough. Get one for on the go, in the office and multiple places around the house ?. ---Model: PTH-650 ---Unit powers on, with lit power indicator light ---We were unable to test this unit's functionality ---There is a rip nearby the keypad, however, it doesn't affect the keypad, please inspect photos Included with listing: ---A tablet with a USB wired cable ---No Pen Included. Mint condition, barely ever used. Fully working. Includes original boxes as per pictures. All serial numbers are recorded for the purposes of avoiding fraud. Easily transfer writing, notes and drawings from a notepad directly to your iOS/Android smartphone or tablet. Attach any A5 paper notebook and your chosen device to the surface of the smart pad to get started. 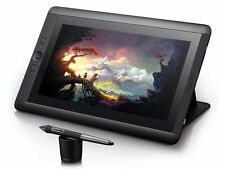 New One by Wacom CTL-472 Small Drawing Graphic Tablet Tablette graphique PC Mac. Type Creative Pen Tablet. Tablet Size 210 x 146 x 8.7mm. Active Area Size 152 x 95mm. Resolution 2540 lpi. Color Black/Red.